What Should Replace Hello Kitty? 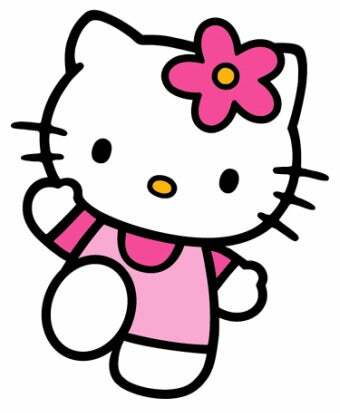 The New York Times reports that Hello Kitty's popularity is on the wane, and Sanrio is desperate to find another character for little girls to have on everything they own. I have a theory, and also a suggestion! It seems that after 36 years of ups and downs, the Hello Kitty character is losing ground, and after trying out a new edgier Hello Kitty a few years ago (heh), Sanrio is scrambling to create a character that will resonate with its young market. The Times places the blame for HK's fall from queen bee to wannabe on her lack of personality or memorable backstory/narrative, but I think the internet has something to do with it. After all, how can a circle with a couple dots and some lines on it possibly compete in the crowded cute marketplace with the Adorable Animals of the Internet? Not only does the Pygmy Slow Loris already look like anime with those huge eyes, she also has the added mega-narrative uber-backstory of being poisonous to humans. (They have poisonous elbows. Swear.) And she's endangered. That's so much dramatic tension and inherent conflict that Slowy could be the first cartoon brand mascot to reveal her painful past in a cover story in Vanity Fair.